Citation: C N Trueman "Felix Dzerzhinsky"
Felix Dzerzhinsky was the first head of the feared Cheka, the first name given to post-revolutionary Russia’s secret police force. Dzerzhinsky was born on September 11th 1877 and died on July 20th 1926. For all the power Dzerzhinsky wielded in the Cheka, he actually joined the Bolshevik Party quite late in his life. However, Dzerzhinsky always had the full support of Vladimir Lenin even when the work of the Cheka seemingly went to excess. Dzerzhinsky only had to convince the party leader after the November 1917 Revolution that he only ordered what he did against “class enemies” or “enemies of the state” to receive his support. Dzerzhinsky’s father was a teacher and his son received a good formal education even if it ended in what must have been disappointment for his parents. Dzerzhinsky was fluent in three foreign languages while at school and was brought up as a Roman Catholic. It is said that his first career choice while at school was to be a Jesuit priest. The only blemish on his final school report was for Greek for which he received an “unsatisfactory”. 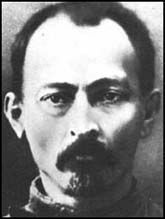 Dzerzhinsky was expelled from his school just weeks before leaving it because of “revolutionary activities” – he had joined the Union of Workers, a known Marxist group. In 1897 he was arrested for organising a strike at a shoe maker’s factory. He had also set up an illegal press there. His police report stated that he would be a very dangerous opponent in future years and he was sentenced to a year in prison. On his release Dzerzhinsky got involved again in what the authorities called “revolutionary activities”. Over the next few years he was imprisoned and exiled to Siberia. After this he emigrated and settled in Berlin. Dzerzhinsky also went to Switzerland where his fiancé was being treated for ill health. Her death greatly depressed him. However, his life was given some meaning again when the 1905 Russian Revolution broke out. His involvement again resulted in his arrest though he was quickly released as a result of a general amnesty. Between 1906 and 1914 Dzerzhinsky was arrested on a number of occasions and spent even more time in prison. The then Russian Secret Police, the Okhrana, considered him to be a highly able adversary and, therefore, a dangerous opponent. He was finally released from a Moscow prison just after the March Revolution of 1917. It was only now that Dzerzhinsky joined the Bolshevik Party. He joined the Moscow Soviet and became a zealous supporter of Lenin. In July 1917, Dzerzhinsky was elected to the Executive Committee of the Moscow Soviet. In July 1917 he was elected to the party’s Central Committee and moved to St. Petersburg. Here he joined the Military Revolutionary Committee and played a part in the success of the Bolshevik Party in the city during the November 1917 Revolution. He took it upon himself to organise security for the Bolshevik Party in St. Petersburg after the success of the revolution. Lenin expanded Dzerzhinsky’s role outside of the city to cover potential enemies to the Bolshevik Party across the land. The new organisation was to be called the ‘All-Russian Emergency Commission for Combatting Counter-Revolution and Sabotage’. It became better known as the Cheka. The Cheka was well resourced and by 1921 it is thought that there were over 200,000 members of it. Dzerzhinsky was its zealous chief and he himself said that the Cheka had to represent “organised terror” (July 1918). In the same speech he outlined how the Cheka worked when it functioned properly. From arrest, interrogation to execution took one day. Dzerzhinsky believed that the ends justified the means and for him the survival of the Bolshevik Revolution and the protection of Lenin were of the utmost importance. The Cheka was involved in the 1921 Kronstadt Uprising in the sense that those who survived it were handed over to the Cheka for interrogation and punishment – it is believed that as many as 500 sailors were executed by the Cheka. No one knows exactly how many people were arrested and executed by the Cheka. Dzerzhinsky was in charge of the so-called “Red Terror”. The Russian Civil War and the attempts on Lenin’s life made it clear that the Bolshevik Party had its enemies and that the success of the revolution was threatened while these threats continued to exist. In 1929 a former member of the Cheka stated that he believed that 50,000 had been executed by the Cheka in the years following the Bolshevik Revolution. The Cheka was also given the task of protecting the country’s borders. Internal security was not Dzerzhinsky’s only task. He was also tasked with the building of sufficient orphanages in Russia to cater for the many children who had lost their parents during the upheavals Russia had experienced. Dzerzhinsky died of heart failure on July 20th 1926.